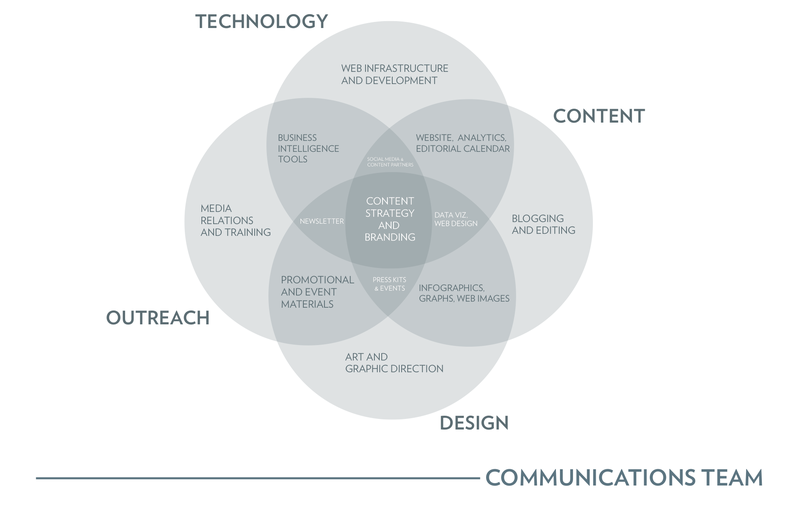 Home › Events › EVENT: Wonkcomms teams and skill sets: what does the future hold? EVENT: Wonkcomms teams and skill sets: what does the future hold? After setting the scene on the future of think tank communications in our first event this April, the last three WonkComms events have considered the ‘why’, ‘what’, ‘how’ and ‘where’ of think tank communications. This event turned its attention to ‘who’ – the human resources think tanks can call on for their communications, what skills are needed to progress in the sector and how to develop them. The different models of communications staffing. From dedicated and large communications teams with lots of specialists to small teams doing everything or using consultants and interns, there are many different models out there. The panel shared their experience of different teams and how these have helped or hindered their efforts to get messages out to their audiences. The skill sets needed from future think tank communications. Is it time to move function or goal specific roles (i.e. from publications, web, social media officers to editorial, production, promotion officers working across many forms of outputs)? Should ‘digital’ be a separate role or should it be mainstreamed? What experience is vital for people working in the sector – do they need to have worked in research and what does that mean? Speakers considered these key questions and how they affect who is hired and what skills those entering the sector need to develop to succeed. ‹ WonkComms London Social this Friday! Hiya Raymond – Yes, the plan is to stream the event. We’re just finalising details. Hi Susan – the video is now online, in this very post! Apologies, I missed the link. Partly because we don’t have access to you tube in Pakistan.